The Mau Mau was a movement of freedom fighters, also known as the Kenya Land and Freedom Army, who fought against the British Colonial Government in Kenya. Although the organisation was multi-ethnic, the members were mainly drawn from the Kikuyu. In 2009, a group of Mau Mau war veterans filed a claim against the British government and – in the process - revealed the full extent of the British Colonial Government’s use of violence and torture during the 1952-1960 State of Emergency. Dr Chege Githiora was the Gikuyu translator during the Mau Mau case in London in 2014 and has an intense personal connection with this brutal episode of British colonial history. In February, Dr Githiora joined us on the panel at our Operation Legacy screening at SOAS. This documentary follows the veterans’ struggle for truth and reparations, and exposes the depths of the establishment’s attempts to erase histories of colonial violence. He was joined on the panel by journalist Julius Mbaluto who also covered the Mau Mau case in London, hip hop artist and political activist Lowkey, and our own Olivia Windham-Stewart. The panel discussion that followed the screening was passionate and wide ranging. It encompassed the need to address intergenerational trauma suffered as a result of the conflict to the mechanisms of historical miseducation in the present. The audience felt passionately that the documentary is a good starting point for raising awareness on the Mau Mau, and Dr Githiora highlighted the importance of listening to African stories and reading African historians to enhance our collective understanding of this conflict. Dr Githiora’s call to acknowledge the contribution of Kenyans intellectuals who have actively engaged with this history is connected to the movement to decolonise the curriculum. Decolonising the curriculum means more than simply citing a few sources; it’s a commitment to acknowledging different knowledge systems and the different ways that people engage with history. Central to this challenge is the question of language, and the importance of engaging in discourses in African languages. I was fortunate to sit down with Dr Githiora and gather his thoughts on some key texts by Kenyan authors, as well as his views on their significance. What follows is a brief – by no means exhaustive - account of literature which is not widely read in the academic mainstream but we believe to be important to a deeper, and progressively decolonised account of this history. CG: Mania wa Kinyatii is the foremost Kenyan historian writing about the Mau Mau but he is not very much read here in the West, partly because of his radical views. Also, some of his work has not been translated from Gikuyu. He was arrested and imprisoned in the 1980s for writing about the Mau Mau. He writes with great passion, and has lots of insider information because as a young boy he participated in the struggle - it was common for young boys to be sent on errands etc. He is one person who really needs to be read more. For example his book ‘Thunder from the Mountains’ is a very interesting oral history in which he analyses the songs that were sung at the time. Part of the problem is that it’s very easy to tarnish peoples names by declaring them unbalanced. Another problem is that they’re not published in the mainstream, and therefore distribution becomes an issue and they don’t become known. 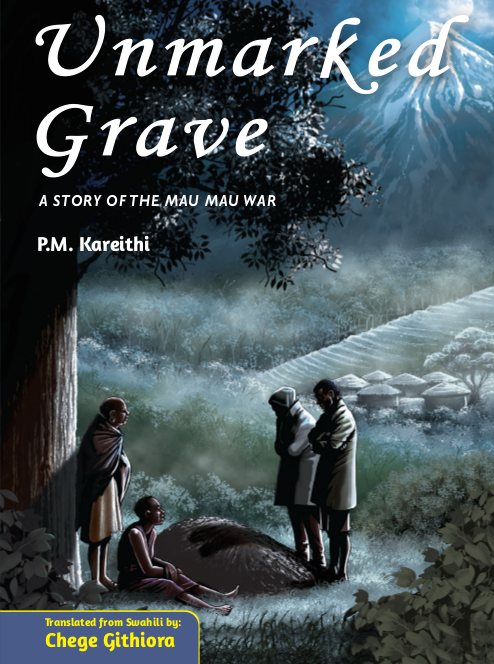 CG: This book is interesting because it was co-authored with an American anthropologist who was involved in the anti-imperial movements of the 1960s and Karari Njama, a Mau Mau war veteran who had been Dedan Kimathi’s secretary in the forest. The subtitle is also interesting - ‘An Analysis of a Peasant Revolt’ - because the terminology sometimes differs. From his account we hear about the armed movements organisation, motivations and weaknesses. CG: Wunyabari Maloba is an important Kenyan historian who takes an economic analysis of that struggle. It’s clear from the subtitle of his book that he also considers the Mau Mau as a peasant revolution. CG: B.A. Ogot and E.S. Odhiambo are other historians who certainly need to be read a lot more for their different interpretation of the Mau Mau movement. They see Mau Mau as an implosion, a sort of civil war amongst the Gikuyu: of peasants against the landed classes and loyalists. They are decreed for being too radical: not mincing their words and not making apologies of any sort. CG: Literature is often thinly fictionalised history and authors such as Ngũgĩ wa Thiong'o are a really good source of reading Mau Mau. His novels recount momental events in Kenyan history. For example, the character Moses in ‘A Grain of Wheat’ is obviously referring to Kenyatta. It’s really history put in a fictional form. Ngugi’s books are often read in history classes. 2019 marks fifty years since the publication of Kaburi Bila Msalaba. The book written in Swahili and first published in 1969 has been translated for the first time from Swahili into English by Dr Chege Githiora. An Unmarked Grave is the first translation of Kaburi Bila Msalaba in any language and makes a significant contribution to world literature. The narrative portrays a powerful account of life during the Mau Mau struggles in Kenya and the defeat of British Colonialism and is told in the spirit of oral tradition and community history. CG: Life histories are invaluable resources for learning more about this history. Kariuki’s well-known diary has been translated into 27 languages, including Japanese. Newer PostWHY WE CALL OURSELVES THE MUSEUM OF BRITISH COLONIALISM. Older PostHola - Another British Scandal?